We offer one to one training in all forms of display holography. Anything from a two day beginner’s course to a one week advanced study on complex 3D holography. 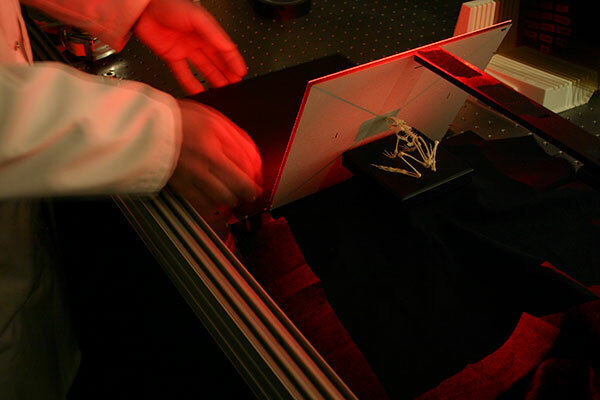 All courses are of a practical nature and involve the majority of time in the lab, making holograms. Some people want to start with the basics, others know how to make a simple hologram and require more advanced tuition. It’s on a one to one basis so can be very specifically tailored to each person or business. Courses can also include full details of how to set up your own lab and where to buy the best equipment. Prices include all materials and at the end of it you get to take some holograms away that you’ve made!